Lt. Col. Charles I. 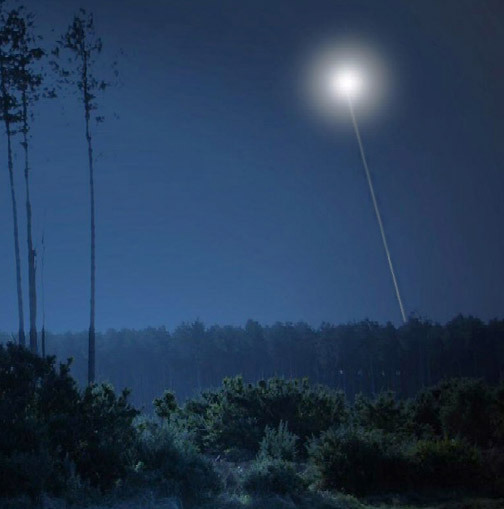 Halt described a mysterious aerial light above Rendlesham Forest that emitted a thin beam down to the ground right in front of him and Staff Sergeant Monroe Nevels in the early morning hours of December 28, 1980. Illustration by Jan Roth at www.rendlesham-incident.co.uk used with permission.